With our Sky Pilot 15 Rucksack, getting your shoulder bag caught under your bike saddle because the strap accidentally got longer is a thing of the past. The buckle on the shoulder strap closes automatically. This is comforting to know when you are out exploring the city on your bike. 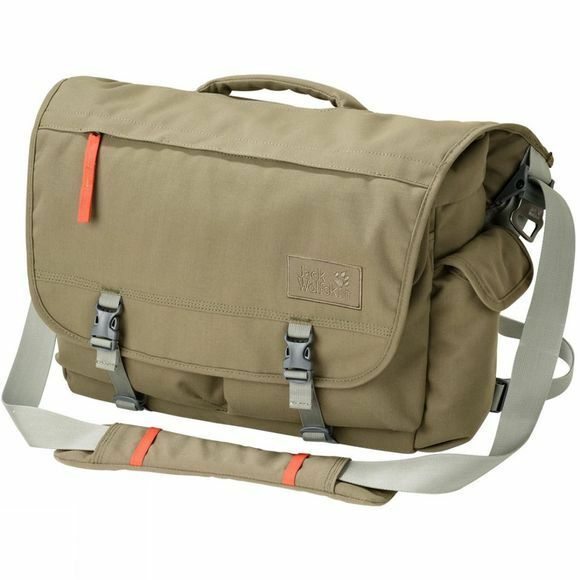 The Sky Pilot 15 Rucksack is a courier bag with a laptop compartment. The bag is part of the Frontier luggage series, which draws its inspiration from the hobo lifestyle. These North American itinerant workers travelled across the country - often on freight trains - scraping a living from casual jobs. Their luggage had to be tough and was often cleverly designed and customised to suit these travellers' needs. We have incorporated these ideas into the bags and packs in this series.